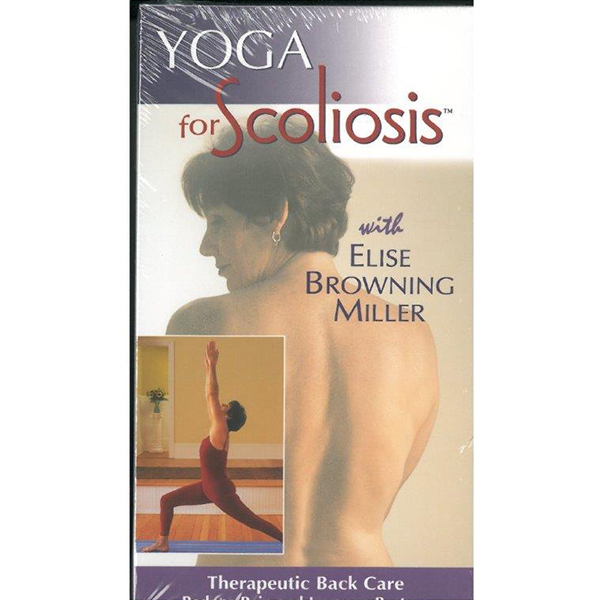 Yoga for Scoliosis with Elise Browning Miller” has a 50-minute home yoga practice with three sections, approximately 17 minutes each, that can be practiced individually or in its entirety. Yoga for Scoliosis with Elise Browning Miller” has a 50-minute home yoga practice with three sections, approximately 17 minutes each, that can be practiced individually or in its entirety. There is a bonus section with additional therapeutic yoga poses and interviews with an orthopedic surgeon and Elise. 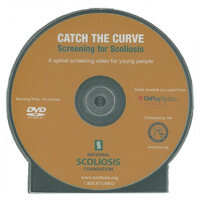 This video in DVD, VHS, or PAL format provides a beginning home practice for most people with scoliosis. It is based upon a proven program that focuses on lengthening the spine, stretching muscles that have become tight and strengthening muscles that have become weak. Attention is applied to de-rotating the spine and ribs that have rotated posterior and overall, creating more balance and harmony in the body. This result should empower people with scoliosis to take charge of their own back for better posture and less pain and discomfort.